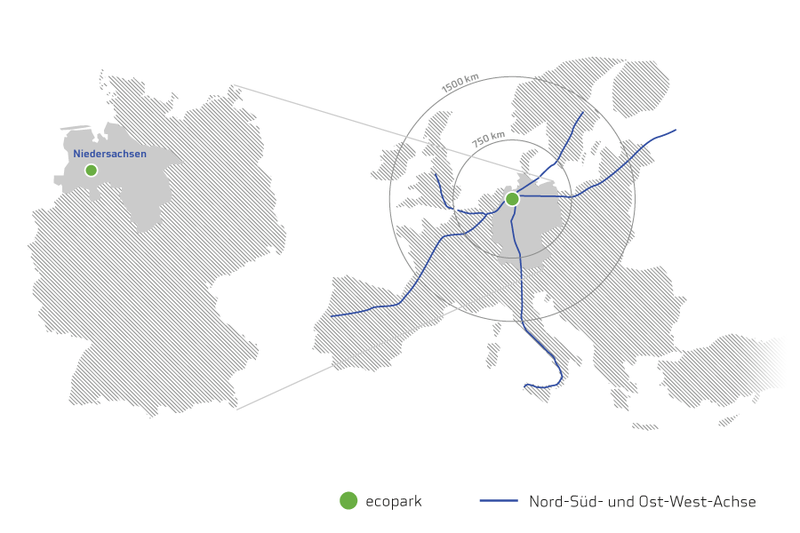 the A1 autobahn (autobahn exit “Cloppenburg”) guarantees optimal accessibility and ideal logistics. 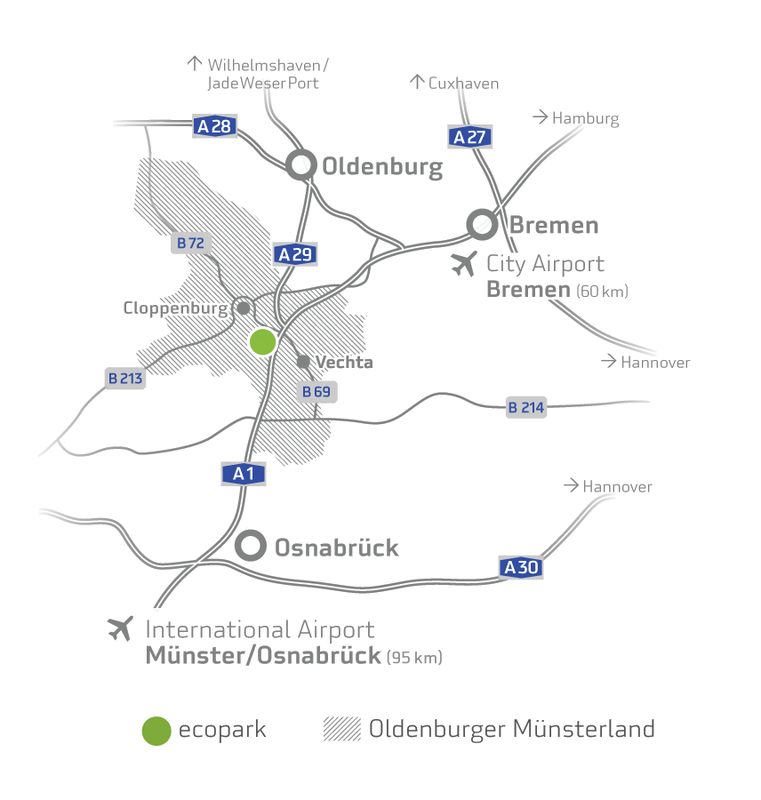 The Münster/Osnabrück Airport and the Bremen City Airport can be reached by car in less than an hour’s time. Moreover, the geographic proximity to Oldenburg, Bremen, Osnabrück, Hamburg, and Münster ensures that the sales and procurement markets are “just around the corner.” The potential for finding qualified employees is also high. companies face excellent prospects here, but also families: the Cloppenburg District has more children than any other district in Germany.